Ukraine: Elections or Emergency Rule? The Internet abounds with forecasts concerning the second round runoff in Ukraine’s presidential elections. Public opinion polls suggest that Yanukovich’s victory is imminent, and the majority of experts seem to agree with the prediction. The natural question in the context is: given that from the outset the Orange Revolution in Ukraine prevailed as the result of the unconstitutional annulling of the former run-off outcome, can we expect compliance with democratic norms this time? Chances are too high that ballots will be counted by Yu. Tymoshenko’s campaign managers. The trajectory of her ascension to power was too tricky and the West’s investments in the Orange project – too serious to believe that she has no Plan B for the runoff. When the preliminary results of the first round were announced, Tymoshenko immediately responded by charging that mass rigging had taken place in South-East Ukraine. She is a priori determined not to admit to being defeated and will seize every opportunity to derail the elections by instigating mass falsifications, provocations, mass protest rallies, and court hearings. It became widely known that about a thousand Georgian citizens posing as observers landed in Ukraine on the eve of the elections. They will launch provocations and attempt to destabilize the elections in Donetsk, the main city of the pro-Russian South West Ukraine where Yanukovich enjoys practically undivided support. The relatively quiet conduct of the Georgian “visitors” during the first round of the elections only makes one await an escalation during the runoff. Ukrainian nationalist groups will likely contribute, and the conflicts may take a violent turn. Under the scenario, Ukraine will face an internal schism regardless of the outcome since the legitimacy of the new President will be open to controversy. The imposition of Tymoshenko’s victory would be tantamount to direct suppression of the will of the majority of Ukraine’s constituency. The Regions Party press release says: “We have reliable information about the plans to destabilize the already complicated situation in the country. We will continue sharing this information with the public and resisting the implementation of the plans”. Director of the Ukraine Department of the CIS Countries Institute V. Kornilov expressed the same view: “In case Tymoshenko loses, she will nevertheless claim that she has won. We must be ready to see the main battle take place not at polling stations but in courts and in Kyiv’s main square”. Tymoshenko will not recognize her defeat on February 7. This is the first conclusion. However, there is yet another potential scenario which carries the risk of broader destabilization – the introduction of the emergency rule in Ukraine. The second conclusion is that the outgoing President Yushchenko gave his support to his foe, Prime Minister Tymoshenko. For a limited period of time, the Orange Revolution leaders stopped warring to jointly confront Yanukovich in the runoff. Yushchenko’s support for Tymoshenko is not limited to useless calls to vote for her as the candidate representing the smaller evil. The measures taken by president-eject Yushchenko are clearly aimed at promoting the common Orange cause. He sided with Tymoshenko in the conflict over the January 25 seizure of the Ukraine Publishers plant. Police master Yu. Lutsenko is regarded as Tymoshenko’s ally. The police is patrolling the perimeter of the plant while Yushchenko’s Presidential Security Service is controlling the printing of the ballots. Large numbers of uncounted ballots can thus be printed and injected during the runoff. It is not Tymoshenko that Yushchenko is working for, and chances are the latter will emerge as the winner from the brewing conflict instead of the former. 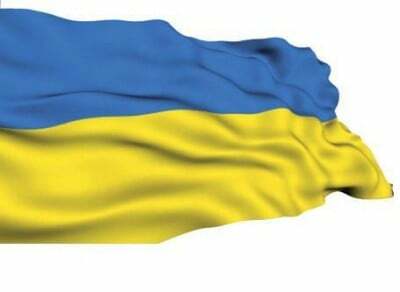 There is a high probability that the elections in Ukraine will end with the introduction of the emergency rule and the prolongation of Yushchenko’s presidential term. Massive falsifications and violations by both sides and clashes – ethnic and political – in the Crimea or elsewhere would provide Yushchenko with a pretext for indefinitely extending his term as the guarantor of the Constitution. Efforts have been made in Ukraine to probe into the public reaction to the establishment of “the dictatorship of law” by the law-enforcement agencies. In November, 2009 a major upheaval was caused by the interviews on the issue given by former army intelligence chief and deputy director of security service A. Skipalski. Ukrainian nationalists openly espouse the plan in their blogs. A typical post read: “I vote for Tymoshenko in the hope that either she wins and a pro-Russian criminal will not become our President or she loses by a minimal margin and take the case to court if not start fighting. Then the current President will have to disqualify both candidates and impose an emergency rule to avoid bloodshed”. The implementation of the scenario would require a serious armed backing, but in this respect Yushchenko’s resources are limited, which must be the key argument against the plan. The security service has no major armed units (except for a special forces crack team which counts a relatively small number of servicemen). The Ukrainian army is weak and Yushchenko can hardly expect loyalty from it. The police and the internal troops have the largest and most combat-ready forces, but the police territorial divisions are mostly under the de facto control of regional elites. As the result, Ukrainian nationalist groups – quite considerable across the country – are the main force at Yushchenko’s disposal. There is almost no doubt that guerrillas from the ranks of Ukrainian and Crimean Tatar nationalists will be employed to provoke armed clashes in the Crimea and in Sevastopol. Provocations in the Crimea may be cited to justify expelling the Russian Navy from its Sevastopol base and declaring the state of emergency. Indicatively, Yushchenko said that the recently inaugurated Russian copter-carrying ship would be used by Russia to occupy the Crimea. In such a case, Yushchenko’s claim that as the guarantor of the constitution he is trying to prevent the disintegration of the politically divided Ukrainian society can be reinforced by invoking the threat to the territorial integrity of Ukraine.